PYP's inaugural three-concert tour took place 13-15 April 2018 and was preceded by four days of rehearsals 9-12 April. The official launch of PYP took place in Cadogan Hall, London, on Friday 13 April 2018. The second concert of our tour took place in the magnificant and historic Sheldonian Theatre, Oxford, on Saturday 14 April 2018. …The highlight was Bartok’s Concerto for Orchestra, which Boustany conducted from memory. 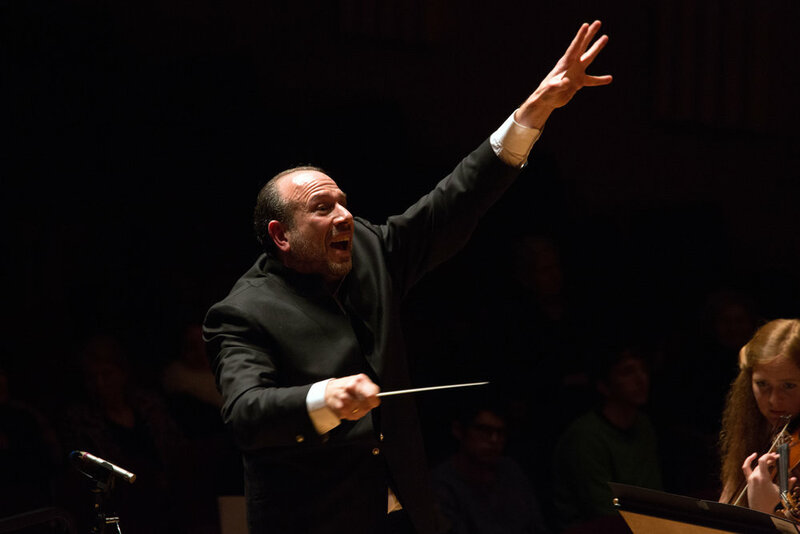 This inaugural concert delivered a promising start to both Boustany’s vision for a new orchestra, and his conducting career. Our inaugural tour ended with a late afternoon concert at Victoria Hall, Hanley, on Sunday 15 April. This is a popular venue that is frequently visited by the Hallé and BBC Philharmonic, and has a reputation for having a very fine acoustic. …I already knew my favourite item would be the second one, Prokofiev’s second violin concerto…In charge of floating that soaring, Romeo and Juliet-style line of melody over the arpeggio accompaniment was Stephanie Gonley…She did not disappoint. Bring it on, starting with the Pro Youth Philharmonia.